The economy is strong. Unemployment is low. The competition for talent is tough. The way we work is changing due to advances in technology, generational shifts, the growth of team-based work, and the importance of equity and inclusion. Data, smart building technologies, ergonomics and sustainability are priorities. But how do you combine these factors and more to create a new workplace? 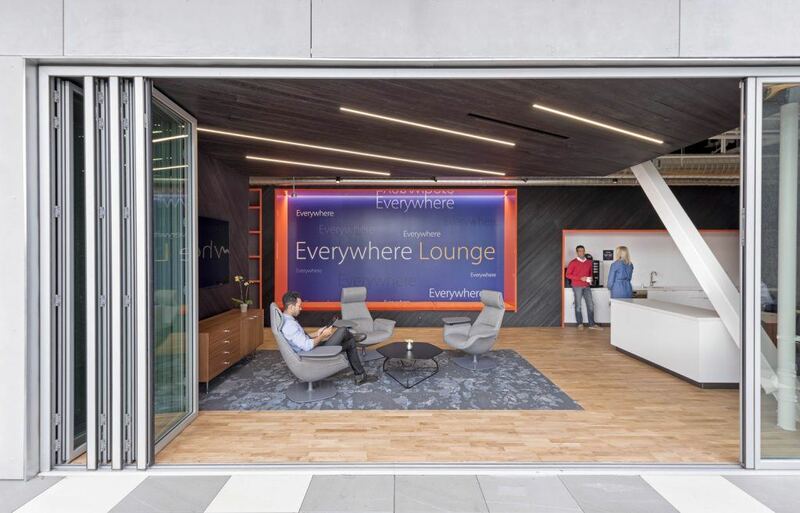 Over the last year, we have engaged clients across the country, from Silicon Valley to Washington, D.C., to better understand this question and hear how organizations are dealing with the evolving role of the built environment in their business. As clients from all industries step back and question old paradigms and delivery systems, we too saw an opportunity to rethink how we can become stronger partners in embracing disruption and equipping people for change. As we asked clients about workplace evolution, HGA recognized the need to take strategic planning, research, and design services to another level. The result is the creation of HGA WorkSIGHT, a nationwide team of experts in pre-design, workplace strategies, research, and implementation. WorkSIGHT integrates our workplace talent and tools into a team that works with leading government, corporate, and non-profit organizations to drive workplace innovation. Our team is driven by a vision to discover original insights that support the creation of custom workplaces that allow people, and therefore organizations, to thrive. We place the well-being of people at the core because we understand the impact health and happiness have on your bottom line. Our mindset—including an optimistic, future-looking focus—is key to springboarding from your current situation to new workplace strategies. Your workplaces are about what you do today; but more important, they are about how you might work in the coming months and years. And if you are planning a new project, your perspective shifts—it is about how your building or campus can be flexible enough to accommodate the unknowns your organization will encounter in the future. Our WorkSIGHT mindset is built upon engaging with you to turn ideas into real-world workplace designs. HGA WorkSIGHT offers a variety of planning and design services that we scale to your project’s needs. We integrate these services as needed with HGA’s sustainability team; our industrial engineering services for lean methodologies; our healthcare group for well-being strategies; our engineering team for lighting, infrastructure and space comfort criteria; and our technology team for systems integration strategies or planning of digital/physical work experiences. The process of creating a new workplace strategy, masterplan or project design looks different for each organization or corporation. We begin with the following simple but powerful problem-solving framework. We move through this process with you as partners, integrating all stakeholders’ knowledge and ideas. We begin with immersive research to understand your organization, current operations, and future opportunities. We augment our findings in this step with knowledge from the fields of social and environmental psychology and organizational science, as well as benchmarking data from similar projects. We also see value in generating insights through employee engagement on multiple levels. This allows us to go beyond “what is” and expand our understanding to ideas about “what if” and “what will be”—viewpoints that your leaders and your employees can provide. The initial immersion step is followed by a period of interpretation to understand the information we have gathered and discover original insights that can lead to workplace breakthroughs specific to your needs. The creation of options that satisfy your goals comes next, followed by an evaluation of each option against your guiding principles or other criteria. To conclude, we work with you to synthesize the best features of each of option and implement a consensus-based solution. This solution can be a new workplace strategy, a facility masterplan, a full predesign report, or basis-of-design criteria. Our approach focuses on the unique goals, culture, and needs of your organization. With a host of tools (longitudinal surveys, one-on-one interviews, people-space analytics, virtual and augmented reality, rapid prototyping, and others) and our knowledge of multiple methodologies for delivery and innovation (lean planning, design thinking, and agile work processes), we help you understand your current state and reimagine a nimble future state that helps you navigate change—internally among your teams and externally within your market. As your organization changes in response to the forces driving your business, your facilities need to remain nimble to support the related changes in your workplace. In many cases, the people you serve can be your partners as we work through workplace changes together—your colleagues in Human Resources and Information Technology, your internal departments and business units, and the employees themselves. Together we can help you define what change looks like—which ultimately will lead to a more successful, sustainable, beautiful, and vibrant workplace.